JR286’s primary business is the design, development, sourcing, and distribution of sporting goods accessories and equipment globally. They specialize in products for running, training, hydration, football, baseball, and basketball for major brands including Nike. JR286 struggled with a cohesive technology strategy for their product lifecycle management. Their main tools to manage product data were Excel and an outdated Oracle Agile combination. This resulted in multiple versions of the truth – known to cause miscommunications, increased time to market, and other delays. For JR286, this resulted in a lack of standardized attributes for products or adherence to product creation milestones. 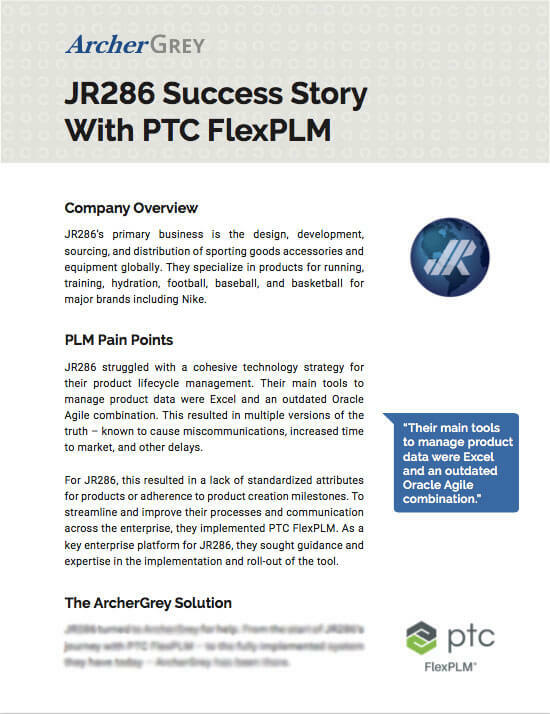 To streamline and improve their processes and communication across the enterprise, they implemented PTC FlexPLM. As a key enterprise platform for JR286, they sought guidance and expertise in the implementation and roll-out of the tool. 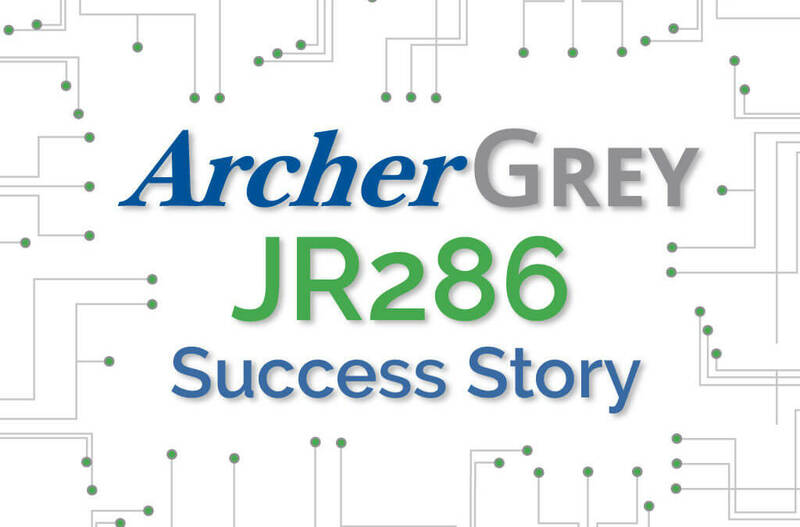 Find out the solutions ArcherGrey implemented to reduce JR286’s development time by 40% within the PTC framework.